Comfy Cozy Photo and Sticker Calendars go above and beyond any other calendars on the market. Our Calendars are photographic journals that will be treasured family keepsakes. The "start at any month" format makes them great gifts all year, not just in January. When you open up the calendar, that is the first month of the year! 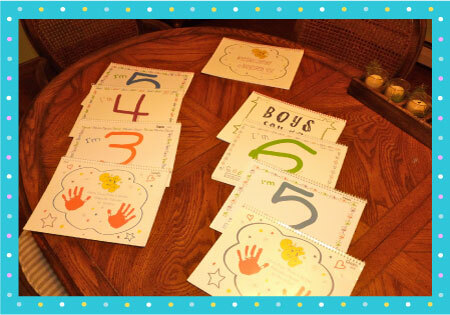 With a monthly "picture frame" you will create a real time photo journal of the changes in your child. PLUS each month includes a list of "Favorites" including food, game, book, class, song, etc. Keepsake Collection" includes: Baby's First Year Calendar, Toddler 13-24 Months, Toddler 25-36 Months, Preschool and Kindergarten/First Grade. Girls Can Do Anything & Boys Can Do Anything (geared toward 7, 8, 9 year olds). Just my Age Collection includes: I'm 3, I'm 4, I'm 5, I'm 6, I'm 10, Sweet 16 and Girls Can Do Anything or Boys Can Do Anything. Gardening Collection includes: How my Garden Grows for kids & How my Garden Grows for adults. * 12 "start at any month" Blank calendar pages. * First & Last page to place child's handprints OR self portrait. �2004 - 2019 Comfy Cozy. All rights reserved. Comfy Cozy� is a registered trademark.